We found Otto Studios to be very flexible both around the planning of our project and in its execution on the ground. They were highly communicative, which made the process of filming very smooth, and happy to accommodate our needs. The result was an excellent video which was valuable to our high profile client both internally and for external use. Are you looking for a Video Production Company to capture your audience's attention and imagination? Video production and creative strategy Adelaide, Mildura and Australia-wide. Making the ordinary, extraordinary. Otto Studios do more than produce videos and capture events on film. We employ a diverse array of camera technologies and video production techniques to create compelling, authentic films that connect with your audience. We also partner with our clients to develop online video strategies to promote brand awareness, create social interaction and drive traffic to your site. We draw people into your story. We make them pay attention to what you have to say. From big budget documentaries and TV commercials, to corporate training and promotional videos (and more!) we help you tell YOUR story in your own authentic voice. Our specialty is candid documentary-style video production that builds a more intimate story between you and your audience. Our emphasis is on dialogue and engaging with your audience. We are also time-lapse specialists, experienced at capturing events and construction projects over hours, months or years. No matter what your video requirements, we can apply our experience and creativity to produce the most effective piece of communication for your budget. Contact us to find out more. Established in 1999 by Anthony Rizzuto, Otto Studios now operates from two locations, with offices in Adelaide, South Australia and Mildura, Victoria. Since our inception we’ve produced videos for a range of industries, advertising and marketing agencies, government departments, corporations and small businesses throughout Australia and internationally. We have the skills and resources to develop and manage large, complex video production projects from start to finish; or to supply a freelance cinematographer, director and crew members to supplement production teams for other agencies or production companies. Anthony’s story began as a Production Manager for a regional TV station back in the ‘90s, where he worked on hundreds of TV commercials, as well as corporate films, documentaries, sports and event coverage, and freelance work which included camera work for news and current affairs. With a diverse range of skills encompassing cinematography, sound recording, graphic design, and writing/performing music, Anthony has constantly evolved the creative output of the company by combining these with the latest technology and techniques and classic film making principles. His broad skills base has been perfect for working in a small, tight-knit crew of experienced video production staff and specialist contractors. 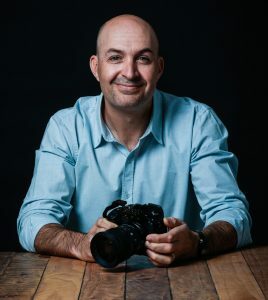 Anthony is a nationally accredited video producer with the Australian Institute of Professional Photographers (AIPP). 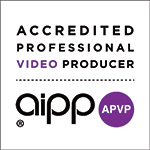 This is a certification gained through intensive ACCC certified review of corporate video work by an independent AIPP industry panel. In an unregulated industry, this guarantees our clients a professional level of service and product for their important investment. Otto Studios has provided Kelly Engineering with a range of brilliant, informative and accessible video content to help us provide value to customers and people who want to learn about our products and philosophies. We have worked with Anthony numerous times over the past few years. Whenever we need video production be it on site or in studio we go straight to a relationship that we trust and respect. Anthony is quiet, organised, efficient and thoroughly professional. He is also patient, adaptable and willing to work with us in all kinds of situations and conditions. He can pull together a team and create a solution regardless of the challenge.